Everywhere I have been in the last 2 days has been brightly colored by tulips and other flowers. I was going to post something which stood out but everything stood out. The story we have been told by our guide Cenk is of a line of empires and people going back about 10,000 years – right here on the ground we were standing on. Seeing objects from grand palaces and individual people alike gives a context for understanding the human story far better than seeing these same things in a history book. 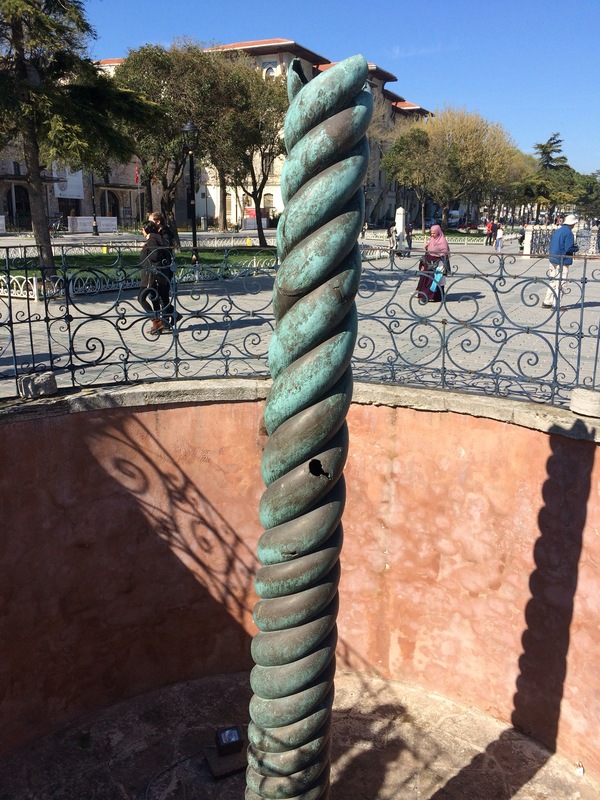 The twisted steel column was in Greece at Delphi commemorating the victory of united Greek people over an invader, and it was wrecked by the crusaders and stolen by the ottomans and ended up on the horse racing track. 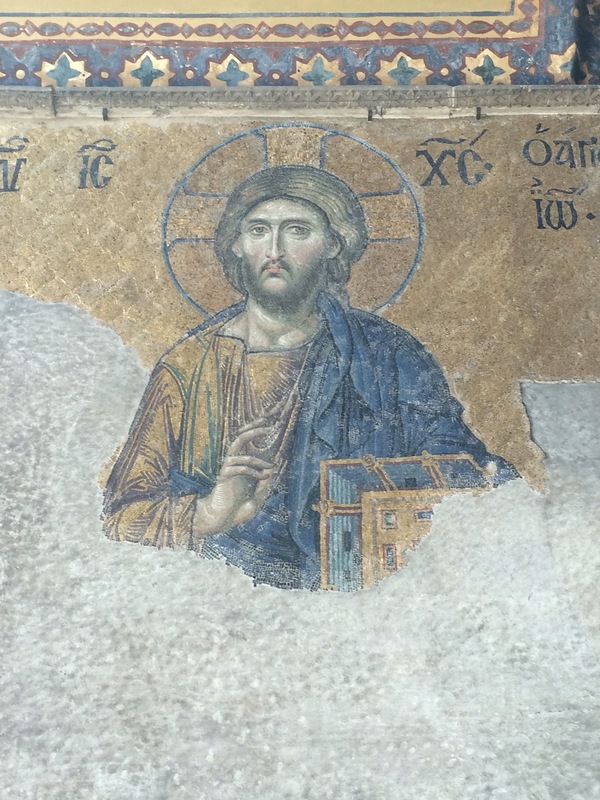 This amazing mosaic is in the Haguia Sophia, now a museum, one of the largest and earliest Christian church structures. 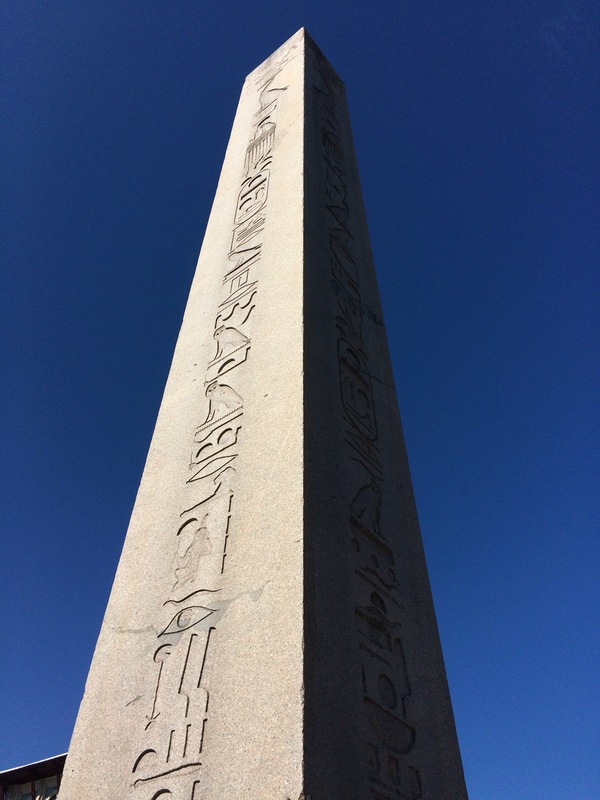 This obelisk was stolen from Egypt and brought to the horse track too. It is four or five thousand years old. 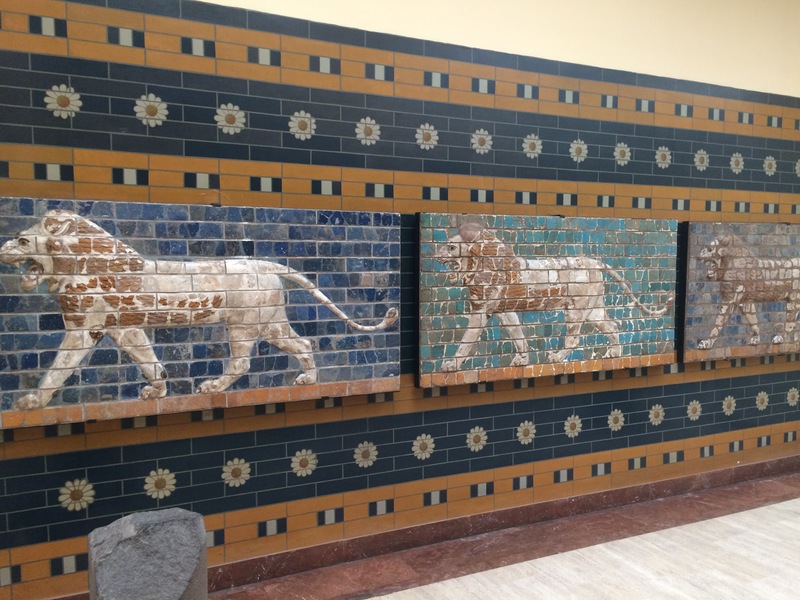 These decorative panels were from the first big organized culture in Babylon. Their beauty is incomparable.